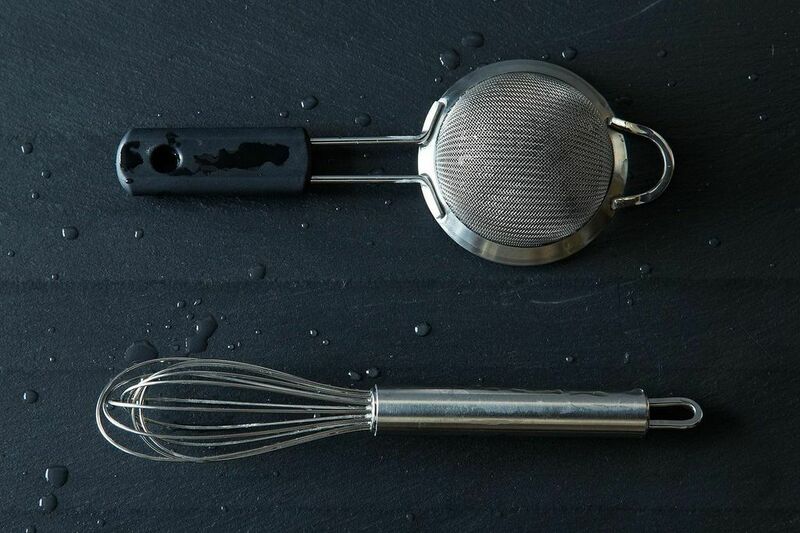 Today: How to dry your strainers and whisks quickly -- a dish towel just won't cut it. When a just-rinsed whisk or strainer needs to be used again right away to mix or sift dry ingredients, it needs to be bone dry to prevent dry ingredients from clumping or sticking. Drying with a dishtowel won’t cut it. Instead, wave the utensil over an open gas or electric burner electric coil -- or dry it with a hair dryer. If your strainers have plastic rims, the hair dryer is safer! More: Do you really have to sift dry ingredients? The short answer: It's complicated. Alice explains. 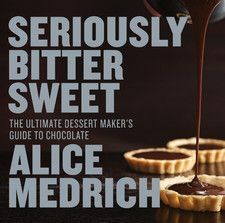 Alice's new book Seriously Bitter Sweet is a complete revision of her IACP award-winning Bittersweet, updated for the 54%, 61%, and 72% (and beyond) bars available today. It's packed with tricks, techniques, and answers to every chocolate question, plus 150 seriously delicious recipes -- both savory and sweet. My career was sparked by a single bite of a chocolate truffle, made by my Paris landlady in 1972. I returned home to open this country’s first chocolate bakery and dessert shop, Cocolat, and I am often “blamed” for introducing chocolate truffles to America. Today I am the James Beard Foundation and IACP award-winning author of ten cookbooks, teach a chocolate dessert class on Craftsy.com, and work with some of the world’s best chocolate companies. In 2018, I won the IACP Award for Best Food-Focused Column (this one! ).